"When a company buys fake reviews to inflate its Amazon ratings, it hurts both shoppers and companies that play by the rules." For the first time, the Federal Trade Commission (FTC), a federal agency tasked with protecting American consumers, has charged a company with fraud for buying fake Amazon reviews — a move that could radically improve the experience of online shopping. On Feb. 19, the FTC filed a complaint against the company Cure Encapsulations. This complaint alleged that the company falsely advertised its weight-loss supplements by paying for fraudulent Amazon reviews through a website called Amazon Verified Reviews. 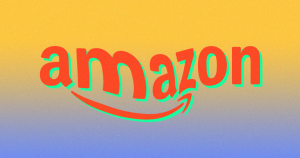 “The complaint charges the defendants with representing that the purchased Amazon reviews were truthful reviews written by actual purchasers, when in reality they were fabricated,” the FTC wrote in its press release. On Tuesday, the FTC announced that it had settled the complaint. As part of the settlement, Cure Encapsulations will pay a $50,000 fine, and if the FTC later finds that the company misrepresented its finances, it will owe an additional $12.8 million. Cure Encapsulations is also forbidden from making any other weight-loss claims about a dietary supplement, drug, or food unless it has “competent and reliable scientific evidence in the form of human clinical testing” to back up its assertions. Amazon appears pleased at the result of the FTC’s complaint regarding the fake reviews. Given that signs point toward online marketplaces consuming a larger slice of the retail pie in the future, it’s essential that the FTC makes maintaining the integrity of those marketplaces a priority. This settlement with Cure Encapsulations is an encouraging sign that it is.